Hello, fellow cyclists! Today, I’m going to be adding another post to our “Bicycle Parts/Accessories” page by writing about the 6 best cycling gloves on the market in 2017. The inspiration for this article came from a recent experience I had at Performance Bicycle, one of the local bike shops in San Diego. Last week, I walked into the store to find myself a new pair of bicycle gloves. The pair I’d had for years had worn out and it was time for me to invest in some new mitts. When I walked up to the wall of gloves, I quickly realized that my knowledge of cycling gloves was limited. After walking out of the shop glove-less, I set to work researching and have come prepared with a thorough report of the best bicycle gloves you can buy today. If you stick through to the end of the post, I’ll share details about 6 of the best cycling gloves and tell you at the conclusion which pair I chose to buy for myself. 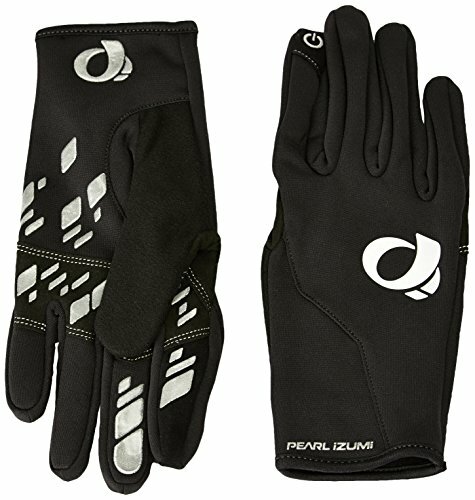 The Pearl Izumi Men’s Thermal Conductive glove are a very popular choice of the year. They’re made with a variety of materials (38% polyethylene, 26% polyester, 20% polyamide, 13% polyurethane, 3% spandex on the front of the hand) to keep you warm and dry. The thermal fabric also allows for optimal insulation, moisture transfer, and odor resistance. Finally, the thumb and forefinger have the ability to function with touch-screen devices. 2. Zookki Cycling Gloves Although the Zookki glove is advertised as being a mountain bike glove, I tried it on and loved the way they felt for road cycling. The gloves are made from elasticized fabric and have extremely comfortable compression; not too loose, not too tight. These gloves are made from microfiber leather. Another feature of these gloves is that they’re full-fingered and have touch recognition. 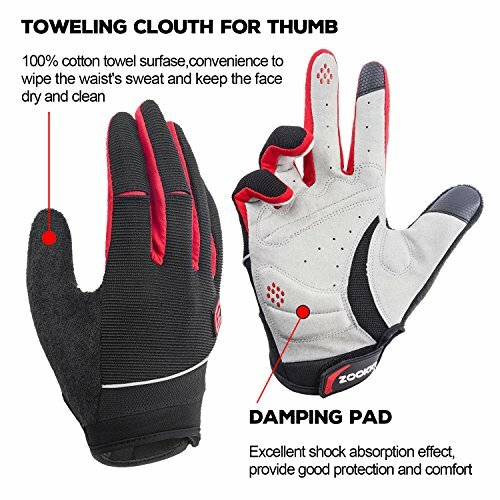 Since many cyclists use their phones or other smart devices for a variety of cycling purposes, these gloves are highly functional and very handy. They also brag mesh cloth, lycra fabric, 3-dimensional tailoring, skip-proof palm fabric, and silica gel pads that work well as a buffer layer. 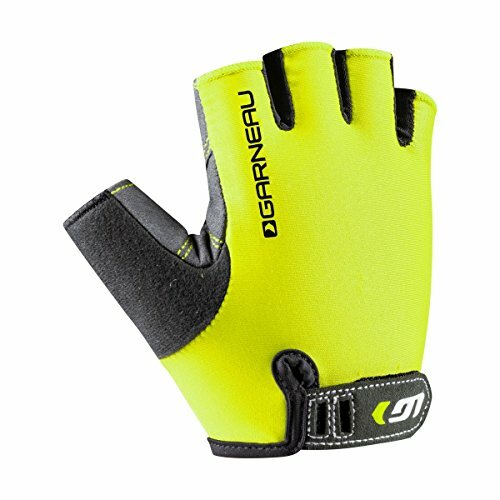 Many buyers have commented on the excellent fit in addition to the great price of these gloves. 3. Louis Garneau 1 Calory Gloves The Louis Garneau 1 Calory Gloves are another affordable option if you’re interested in a half-finger glove. They’re made of synthetic leather, spandex, and amara on the palm. The closure has a hook-and-loop strap and the palms are padded with inserts. This is a premium, basic road cycling glove that has a 1-year warranty and many excellent reviews. 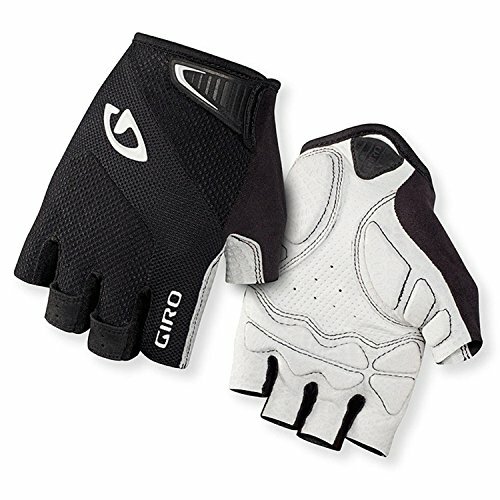 The last glove on our list is also manufactured by Giro. These gloves are the Bravo gloves which differ slightly from their Monaco brother in design. 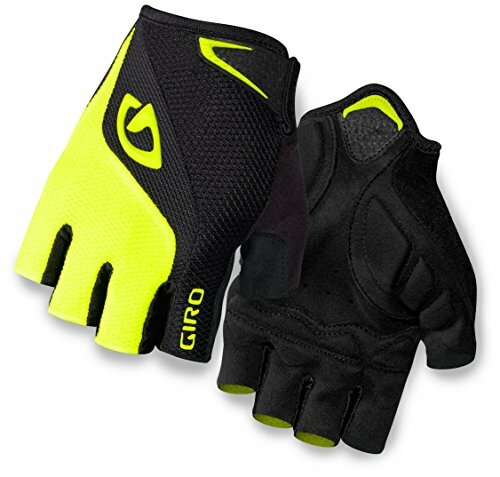 The Bravo gloves are made from Clarino synthetic leather for enhanced durability. They also have moisture-wicking, 4-way stretch, and breathable mesh, but have optimized padding which enhances comfort for the palms. They are highly absorbent, have sonic-welded pull tabs, and low-profile velcro closures. And there you have it! After reading through the 5 best cycling gloves of 2017, did a single pair pop out for you? Do you have a a guess as to which pair I bought? My final decision was: The Giro Monaco Gloves. In the end, it was between the Giro Monaco Gloves and the Zookki Cycling Gloves. However, the half-fingers made up my mind. Due to the hot weather we have in San Diego, I needed something with less coverage that would breathe easily. So far, I’m very happy with my decision and highly recommend the Giro Monaco to anyone in the market for a great pair of biking gloves. Many thanks for following along, readers! Happy riding!